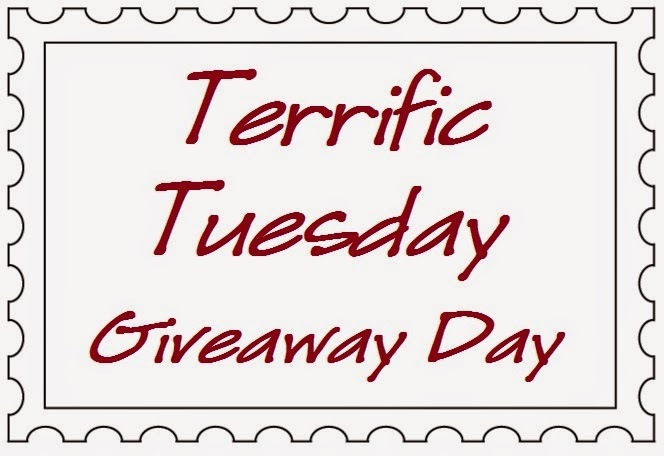 Today's Terrific Tuesday Giveaway is being sponsored by The Scarlet Thread Quilt Co. Julie has an adorable shop with lots of amazing fabrics and at great prices!!! And, along with hosting the giveaway, Julie is giving us even great prices with 20% off any purchase with the code HAPPYAUGUST!!! Yippee, let's have some shopping fun!!! And the Terrific Tuesday Giveaway is for Two panels to make these two adorable Cow people!!!! One lucky winner will receive a Cow Girl Panel and a Cow Boy Panel by Stacey Iest Hsu for Moda. Aren't those just to cute for words!!! ENTRY 1 - Simply leave a comment that tells me a favorite cowboy or cowgirl experience in your life (even if it was just pretend growing up :) I was a city girl and took a horsemanship class my first year of college, it was my all time favorite class ever, loved it!!! I loved vacations in Texas when we got to go horseback riding. I worked at a cattle yard as a teen. I was supposed to be in the office, but wanted so badly to be out with the horses! They finally gave me the opportunity to come to work at 5 am and help round up the cattle with the cutting horses. My first time on a cutting horse and no one told me they know what to do on their own! I pulled left and they cut right! Almost fell off several times, but what a ride!!!! I can remember when I was about 6 years old, all I wanted for Christmas that year was a pair of blue jeans and a pair of cowboy boots. This was in the early 60's when they didn't make blue jeans for girls. Momma and daddy got me a pair from the boys dept and the smallest size of cowboy boots. Of course the boots were too big but I wore them around the house anyway. I watched Roy Rogers and Gene Autry on tv everyday. Such a city girl. We had a daddy daughter date when I was in 3rd grade. It was cowboy themed. I still have my bandana from it. HAPPY TO FOLLOW Scarlet Thread Quilt Co. ON FB! I don't remember any cowboy ideas growing up. My Sister+I would pack a little lunch+get in our Dad's old wagon and pretend we were "herding cattle West" like Cowboys did on their long drives! When we went to Yellowstone, we camped in North Dakota at a state park, and one of the other campers had horses. They let the kids have a ride on the horses. The first time I was on a pony, I called him "a stinkin' old horse,"
I haven been horseback riding since i was a girl scout. It would be fun to do again though! I loved it the first time I went to the Houston Livestock Show & Rodeo. Great skills and lots of fun. Seeing Chicago live afterwards was icing on the cake! Love the Halloween Treat Bag panels. My great-niece is just old enough! Cute panel. I went horse back riding in high school with a guide and three treasured girl friends. We were staying a week at Mountain Lake in Virginia. My one friend, Vivian, had a very naughty horse, and Vivian was freaking out. All of us were laughing so hard. I am grateful I had a good horse. They are wonderful animals. Now playing cowboys? hmmmm, the closest thing I can think of is playing with cap guns. I volunteer with the Blacksmith Committee of the Calgary Exhibition & Stampede. I'm a city girl, but can now make a horseshoe and fireplace poker! Lots of cowboys at Stampede time! My favorite memory was the time I took my grown daughter and almost grown daughter horseback riding in Arkansas. I know they thought I had lost my mind! As a little girl I always wanted to be a cowgirl. I loved watching Roy Rogers and his wife Dale. Visited The Scarlet Thread and would've loved to be in the class for 'My Kinda Town Block of the Month'. Such a clever foundation pieced house quilt! I got to ride my first horse as a sophomore in college...I was on a summer internship in Jackson when a group of us were invited for lunch at the professors farm and it was the hugest horse I have ever been next to or on...it was wonderful! My worst experience: We lived in Kansas City. The American Royal Horse Show! Mother and I always went to the show on the morning of the parade because everyone was at the parade. Hopalong Cassidy was the marshall one year, and just as we came around a corner here was his team having to help get him on his horse. Super cowboys weren't supposed to be human, and need help. I can still remember that. My best happened several years later. I am now a 22 year old mother of two preschoolers whom I took to the Royal. My husband couldn't breath around all the hay etc. We stayed for the horse show that night, but couldn't afford seats so I stood just outside the arena and held up first one boy and then another. Not good, but the most I could afford. One of the men who helped stage the arena for the different classes said here lady these aren't going to be used tonight. He pushed two of the barrelracer's barrels over next to the wall, and even lifted one of the boys up on to it. We put one boy on each barrel and I could stand between them to hold on to them. I never even got his name, but I have always remembered his help. 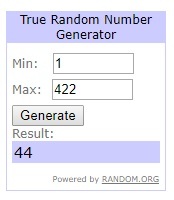 I follow the scarlet thread! While on holidays out West, I was coerced to go horse back riding with our daughter who was 12 at the time. My horse was difficult and would lag behind the others on our ride, which meant that he would gallop to catch up!!! I was near to tears so worried that I'd fall off!! I know that horses are very intelligent and the one I was riding knew I was nervous!!! Never again!! I follow Scarlet Thread via FB!! Born and raised in Texas so I experienced rodeos, visiting my cousin's ranch seeing longhorns and parades with cowboys riding their horses. About as country as I can get. I am a total city girl who married a guy who always dreamed of having a ranch--and we now have horses, cows and chickens! for a while I lived on a farm in CA. the four oldest of us five kids were very heavily involved in 4-H. for me one was horses. I rode a lot all over the desert. I rode in rodeos as a barrel racer. that was a highlight for me. As a kid, I recall one day going horseback riding with my grandpa. Everyday is cowgirl day at our farm. I have a big red angus steer named "Red" who follows me around like a puppy. He was really confused during our total eclipse! Signed up for their newsletter. I like how they have their fabric organized by color. As a child, I rode my uncle's horses and visited several farms of family members back in Wisconsin (I was born and raised in CA). As a young adult, I went to several line dancing classes. Love the cowboy and country lifestyle. I love the Escapade pattern from Scarlet Thread Quilt Co. When I was a little girl my dad had a friend who owned some horses and we would go to his ranch and ride the ponies. I was small so of course the horses looked huge to me. I learned to hold your hand out flat when feeding a horse....ask me how I know. I remember loving Dale Evans as a small child - Roy Rogers was pretty neat also. As a child, I imagined I was a cowgirl while riding a shetland pony. I had a stick horse and play guns with a cow girl hat for play time. I took riding lessons as a look and loved it! I also had a Dale Evans Cowgirl outfit when I was a kid. Yes, that's pretty much dating me. I follow them on FB and email and probably more! Wish I had a cowgirl story to tell....but I don't. Had friends with horses, neighbours with horses, but didn't have much interest in them myself. Summers at grannies ran with my cousins who had horses, no saddles. One day they let me at 14 ride alone. I was so excited. But I had Champion in gear to run and I felt the wind and he galloped so fast I could barely hold on. Now 67, I still feel the ripples of laughter during the ride. First time I had ever felt it. Scarlet thread, I get their newsletter. And I just don't have enough money to buy all I like. We had a horse show every July 4 in my grandfather's field behind my house. It was the highlight of my summer. I'm always looking for novelties, and love those Beach Sharks in their shop. No cowboy experiences for me but my grandson just had his first pony ride and is enthralled with horses! I wasn't particularly interested in cowgirl stuff growing up, but I do remember watching plenty of westerns with my late father. I'm loving their "Adventurers Ripples" fabric. As a young girl I watched all the westerns on tv. I still enjoy turning on the old shows while I spend hours at my sewing machine. I follow Scarlet Thread on fb and have subscribed to their newsletter. I was raised in South Dakota. Rodeos were a big thing there. I also had a boyfriend who had a horse, so we rode often. I still watch rodeos and Bull riding today. 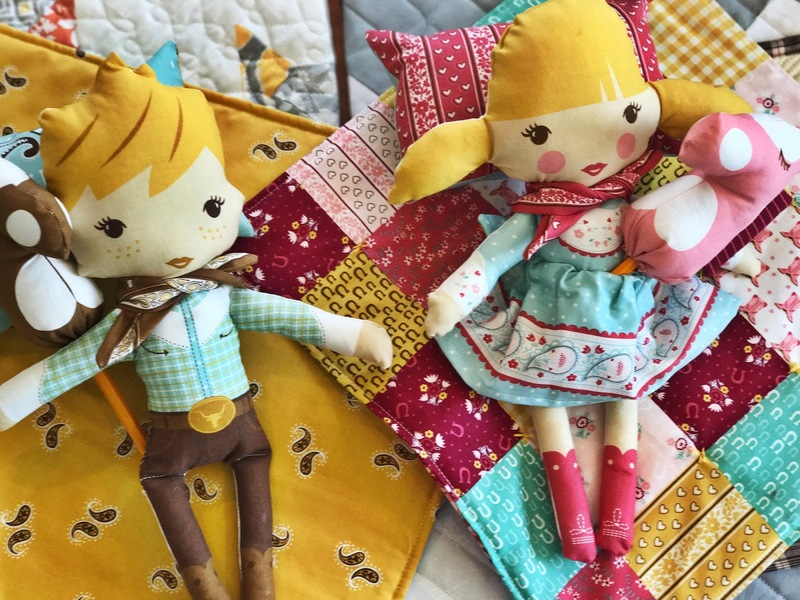 I would love to win the fabric panel and make the dolls for my grandkids. Thank you for the opportunity. I grew up on a farm with horses, cows, chickens, and pigs! I received a cowgirl outfit from Santa one year! Loved it! The closest I came to a cowboy experience was growing up with a pet horse and a pet pony - at different times of course. The 1 In A Minion Toss on Blue by Quilting Treasures in Scarlet Thread Quilt Co.'s shop is delightful. I am definitely as city girl--NYC to be honest but my family had a one room weekend cabin in the woods. When I was about 7 my father bought a shetland pony for us at an auction. My parents drove it home in the back of their station wagon! It stayed at a nearby farm during the week and on weekends it came home to us. I visited the shop and now follow on facebook. I love to go horseback riding when I have the chance, which isn't too often anymore. I like the "Wistful" pattern in the shop. My father-in-law, who unfortunately died in 2005, was a cattle farmer in Kentucky. He had a relatively small family farm, and he was the third generation to farm that land. I'm fortunately to live in an old farmhouse on that farm now, and it's so very beautiful. Back when I was just becoming a member of the family, in the late 1980s and early 1990s, I loved riding around the farm with my father-in-law in his truck and learning about the cattle and the farm. I can't say that I was any help, though I would occasionally open and close gates, but I hope he enjoyed my company just a bit. I wouldn't trade that time for anything. He was a kind and gentle man; and he had a passion for his cattle and his farm. I grew up with a farm. My brother and I were given a horse named Dancer for a Christmas present when I was a little girl. Lots of fun memories there! I grew up in the suburbs of a large city and now live in a very rural area. Still not much of a cowgirl but definitely an outdoorsy country girl now! I signed up for The Scarlet Thread's newsletter. Thank you! i loved going on trail rides! I grew up on a small dairy farm. when the new calves were born in the spring through fall, my sister and I would often take it upon ourselves to go our and catch that calf and take it to the barn for our dad. We were too small to carry the calf and it definitely wouldn't walk alongside us with a rope around it's neck so we got out our little wagon and loaded it on while one of us pulled and the other one held onto the calf so it didn't squirm off the wagon. I live on a ranch and grew up working in the hayfield, mowing and raking hay in the summer. I have been feeding a bottle calf when our son is away and the calf is always ready for that milk! I visited Scarlet Thread shop and see they have some beautiful batiks. I loved riding horses when I was a child! My first time was at Griffith Park! 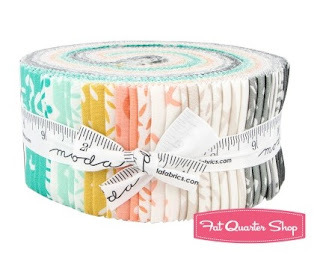 Scarlet Threads has a great supply of notions in there shop! I'll be getting some soon! The crochet bias tape is on my list. My daughter desperately wants one of those panels. The cowgirl, of course! :-) My favorite childhood cowboy related memory is visiting my great-uncle's ranch. We only went a few times, but it always seemed special to me. Makes me think back to the red cowboy boots I LOVED when I was 5! Thanks!